In its years-long efforts to censor the Internet by blocking access to a large number of websites in the country, Russia has now approved a new bill introducing fines for search engines that provide links to banned sites, VPN services, and anonymization tools. VPNs, or Virtual Private Networks, are third-party services that help users access block banned websites by encrypting users' Internet traffic and routing it through a distant connection, hiding their location data and access sites that are usually restricted or censored by a specific country. 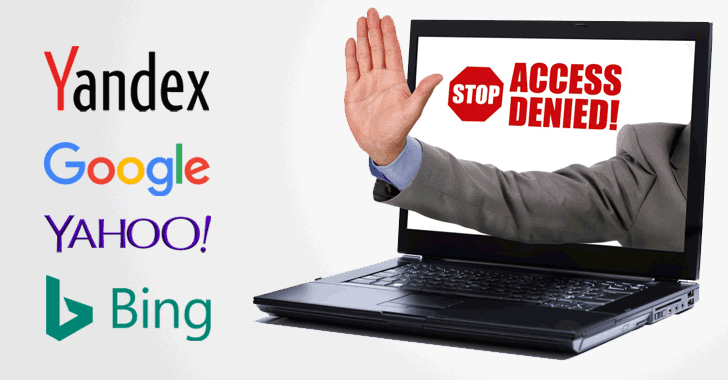 According to the amendments to the Code of Administrative Offenses of the Russian Federation, besides introducing fines for providing links to banned resources, the lower house of Russian parliament, the State Duma, will also impose fines on search engines if they fail to stop issuing links to resources providing up-to-date database of blocked domains upon users request. According to the bill, individuals who break the law will face fine of 3,000 to 5,000 rubles (approx. $48 to $80), officials will face fines up to 50,000 rubles (approx. $800), and legal entities could be fined 500,000 to 700,000 (nearly $8,019 to $11,227), reports Russian State Duma Government site. The bill to the Code of Administrative Offenses is associated with the law on anonymizers adopted at the end of the spring session of the State Duma in 2017. Many Russian citizens use VPNs and other Internet proxy services to access blocked content by routing their traffic through servers outside the country. However, Russian authorities have begun to crack down on Internet freedoms by tighten controls on online services in recent years, citing concerns about the spread of extremist materials. As a result, last year, Russian authorities made it mandatory for VPN and anonymizer services operating in the country to register themselves with the state. The Russian communications watchdog Roskomnadzor will also provide a Federal State Information System (FGIS) containing an up-to-date list of banned websites and services in the country, and search engines will be required to connect to FGIS within 30 days. Those who fail to connect to this system will also face fines similar to those detailed above. Late last month, Roskomnadzor also threatened Apple to face the consequences for not removing secure messaging app Telegram from its App Store and blocking it from sending push notifications to local users who have already downloaded the app.